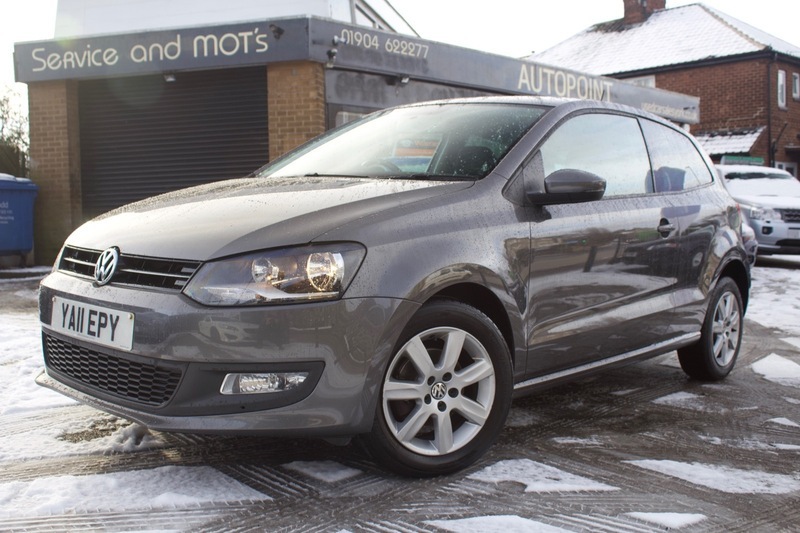 Here we have our Volkswagen Polo Match finished in desirable Gunmetal Grey. The car comes with full service history and has only had 2 owners from new, the last being a lady owner located 100 yards from our garage. with a frugal 1.2 engine the Polo will return 50+ mpg and is a perfect first car or run around. The Polo has a 5 star NCAP rating at 96% meaning it is one of the safest small hatch backs on the market today. The Polo also comes with ABS, Air Conditioning, CD Player, AUX port, Central Locking, Electric Windows, Cup Holders, Daytime Running Lights, Electric Mirrors and ISOFix Point. The car also comes with MOT, 12 months Service, Warranty, Free AA Cover for a year and Pre Delivery Inspection Report.